n a small town called True Love, anything is possible. Penelope Galbraith is set to take over her parents' business, Inn True Love. She has huge plans to expand the property. The town's tourist business is booming, and they often have to turn people away at the inn – like Devon. 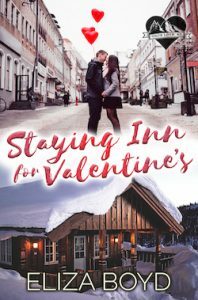 But when he disses the town she loves, she offers him a place to stay for the night with one condition: He has to stick around for one day and let her show him around to prove how great True Love is. When one day turns into a second, will Devon see how special True Love is – especially with Penelope at his side? Read this sweet/clean small town Hallmark-style romance to find out!